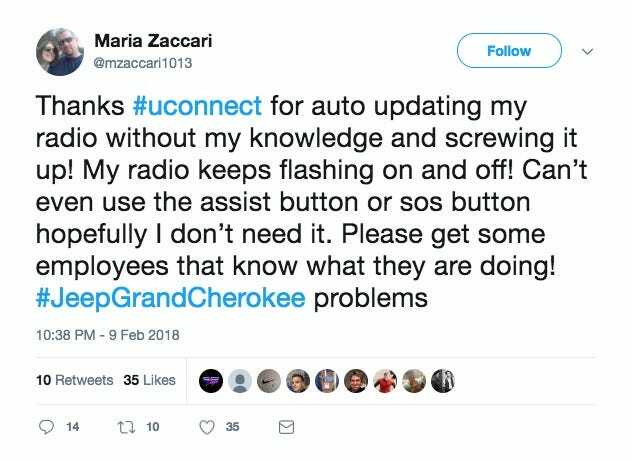 A recent software update to Fiat Chrysler’s UConnect infotainment system has caused the system to reboot every 45-60 seconds in some vehicles. 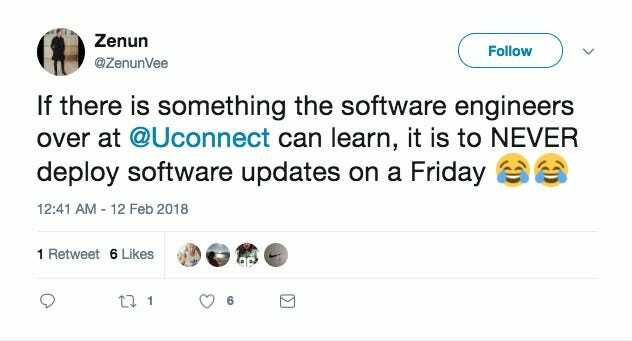 UConnect’s customer support Twitter account said the problem was related to SiriusXM Travel Link services and added that they would be temporarily shut down in the next 48 hours. Customers expressed their outrage on Twitter and other online forums. 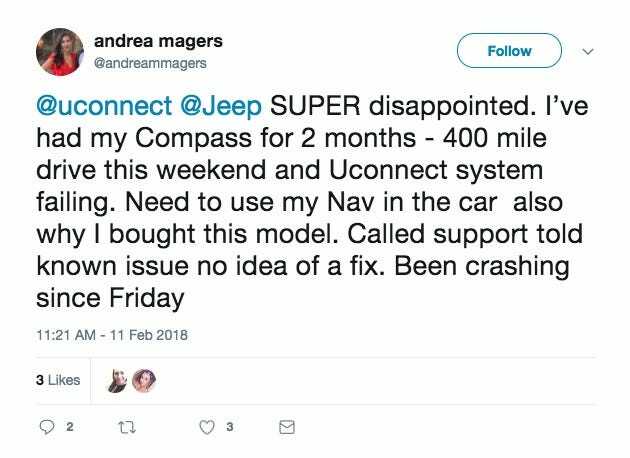 Fiat Chrysler updated its UConnect infotainment system this weekend, and it’s causing the system to reboot in some cars every 45-60 seconds, Jalopnik first reported. That means some Chrysler, Dodge, Fiat, Jeep, and Ram owners can’t listen to music, map directions, or use their rear-view cameras without constant interruptions. 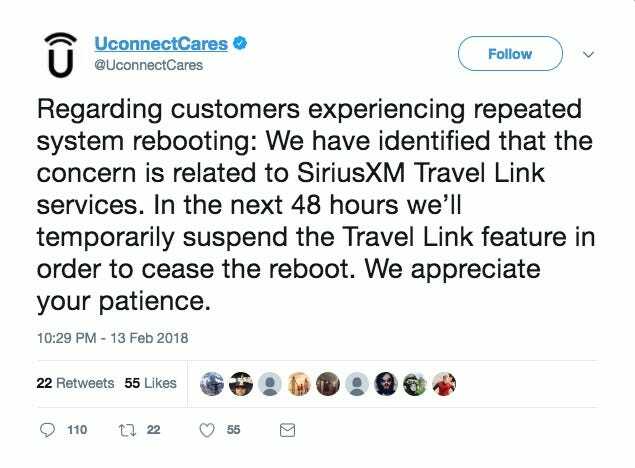 On Tuesday, UConnect’s customer support Twitter account said the problem was related to SiriusXM Travel Link services — which provide information like gas prices and weather — and added that they would be temporarily shut down in the next 48 hours to stop the constant reboots. 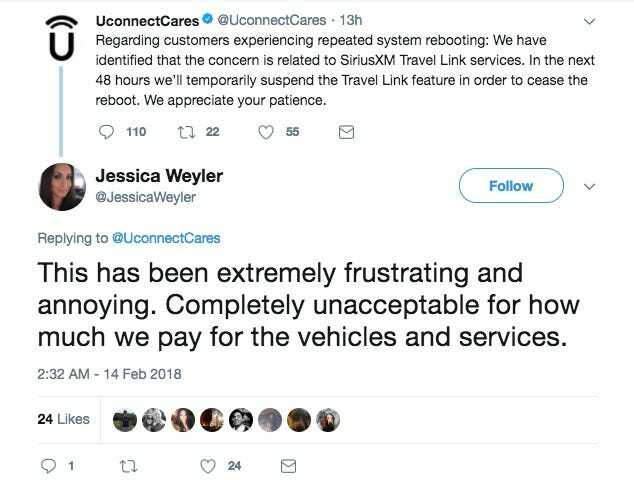 Since the problem arose, some customers have taken to Twitter and online forums to vent. 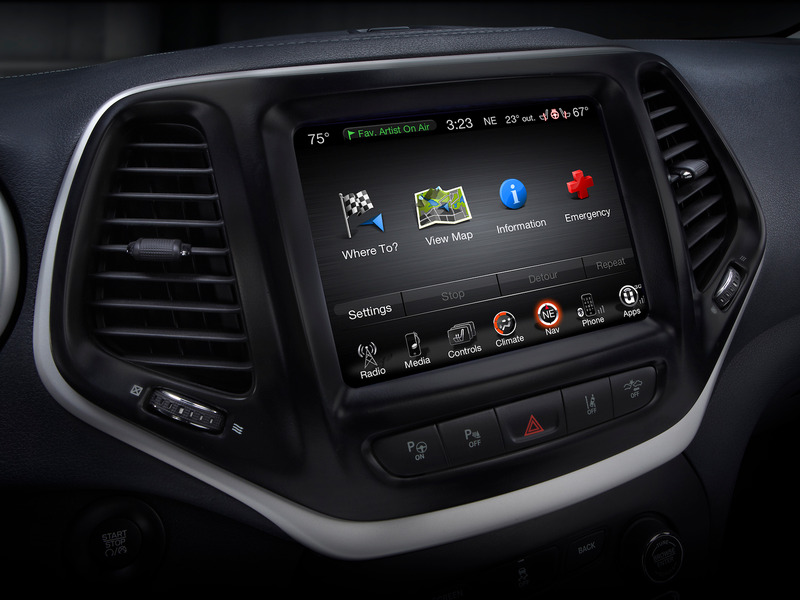 UConnect powers the touchscreen system in Fiat Chrysler vehicles which allows users to control music, navigation, Bluetooth functions, and seat or cabin temperature, among other functions. The system also powers the car’s SOS feature, which a driver can use to notify emergency services in the case of an accident. 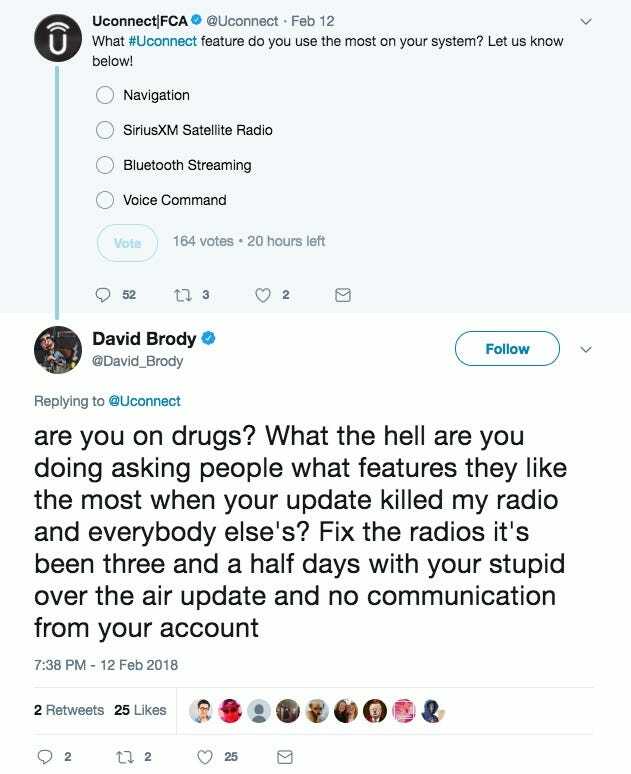 At least one user claimed that this feature was not useable because of the glitch.